Today I went to type £ (British pound) and a € (euro) symbols on my Mac (with British keyboard settings) and found I got a @ and # instead. Whaaaa? The key mappings had got messed up, something I’d never noticed happening before. It turns out I wasn’t alone. If you use a non-US keyboard while running OS X El Capitan, and you have noticed that the key combinations for certain symbols aren’t working correctly (for example, option + 2 should produce a €, not an @), it’s easy to fix. Simply go to: System Preferences > Keyboard > Input Sources. 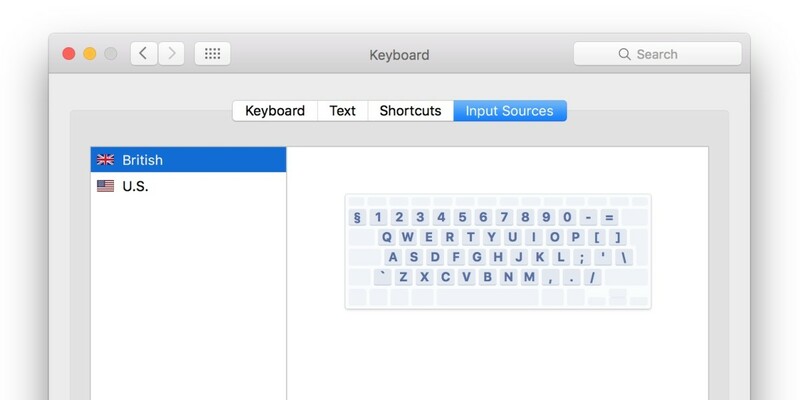 Then click ‘+’ and add your local standard keyboard. Voila! All is right with the world again. A presumably accidental oversight from Apple is fixed. Read next: HTC One A9: Be careful what you wish for?